I am lucky enough to see this bridge in person on my trip to the Provence region of France. Stepping off the bus, the Rhône river flows before me, an immense sheet of rippled glass. For a moment, I believe I am inside one of Monet’s paintings. A group of ducks swims at a nearby bank in water stroked with shades of bright and dark blue. The sky is blue as well, a pale, almost periwinkle color meeting the solid outline of the Palais des Papes or the Papal Palace. It is here where several popes resided during the 14th century. The palace’s towers vary in both shape and color, ranging from pointy to flat and from light to dark gray. When I enter the old city of Avignon, I am amazed. In the middle of a charming, but typical European town is the grand fortress that is the Palais des Papes. The palace and the rest of the old city are encircled by thick walls, made of fading brick. Maybe part of my amazement comes from the fact that I was born and raised in the United States. Back home there aren’t palaces in the middle of cities. Something that makes the Palais des Papes even more attractive is that it is not swarmed by tourists, like many of the monuments in Paris were. That makes it more picturesque and gives it a special authentic feel. That night, after settling into our hotel, we go out shopping in the quaint city’s shops. Among them are a parfumerie that sells many products that feature lavender, a major export of the Provence region, and an accessories store. As I walk into the store, I notice that American rap music is playing and that many of the bracelets being sold have English writing on them. However, I am still able to find myself a bracelet with some French writing on it to buy as a souvenir. After the shopping escapade, we return to our hotel for dinner, followed by a delicious tarte aux pommes, or apple tarte, a very popular French dessert. When everyone in my tour group has finished dinner, we break up into two sub-groups, one who prefers to stay at the hotel and rest for the night, and another who wants to go back out shopping. I was in the second sub-group, and we didn’t end up going shopping. 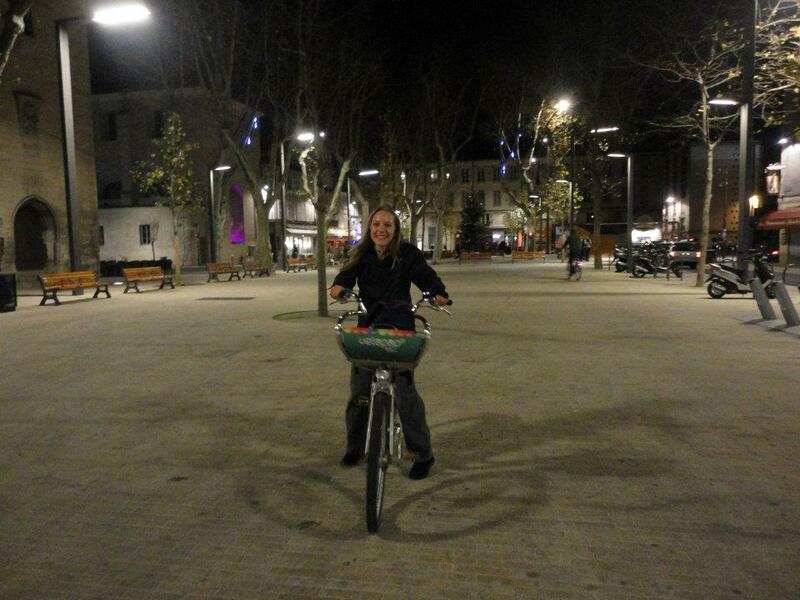 Upon finding out that nearly all the shops were closed, we did something even better. 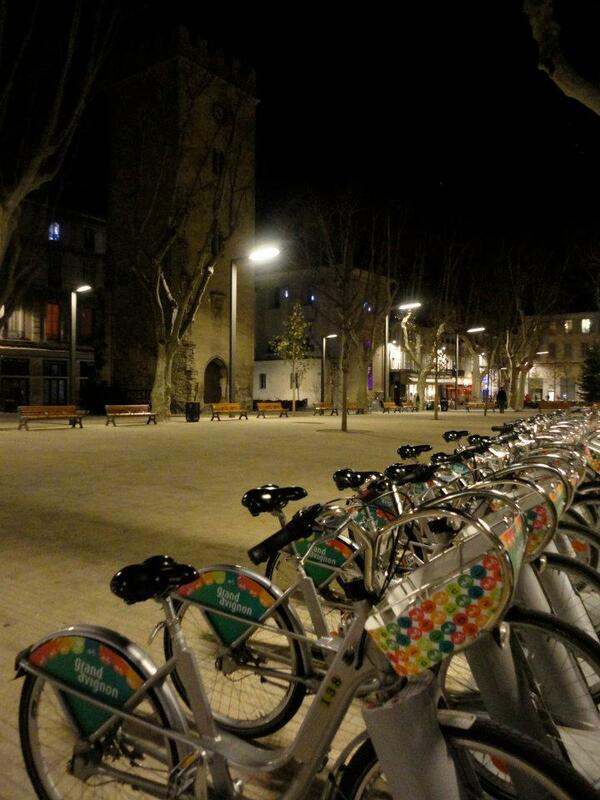 Like in many cities around the world, Avignon has bicycle racks, where you can pay to rent a bike for a certain amount of time. The bike trip I take with this group is certainly worth the money. 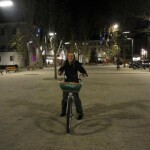 Although, it is difficult to ride on the bumpy cobblestone, it is also exciting. I wonder how many years this cobblestone has been here, and how many people have traveled the same path, whether by wheel or foot. On the bike ride, we pass through narrow allies and side streets that we wouldn’t have seen while passing through on a tour bus. 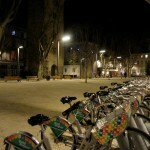 I inhale the cool night time air and breathe in the city of Avignon. It is quite charming while asleep. There are no cars and scarcely anyone in the streets- just us, and the rustic facades of buildings- peaceful brick boulangeries and taupe colored apartments. 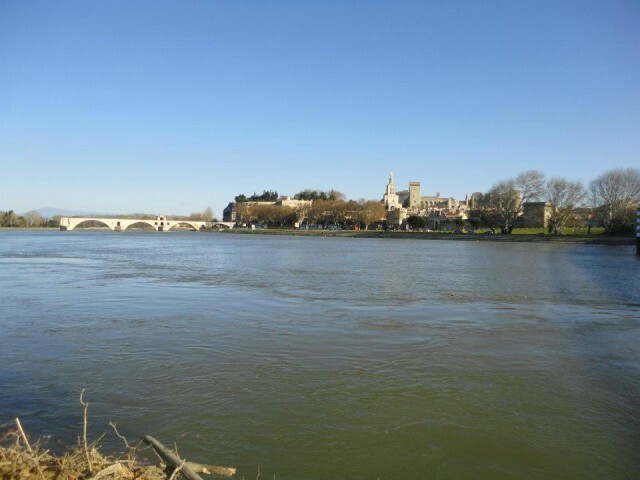 There is so much more to the city of Avignon than the bridge from the famous song. 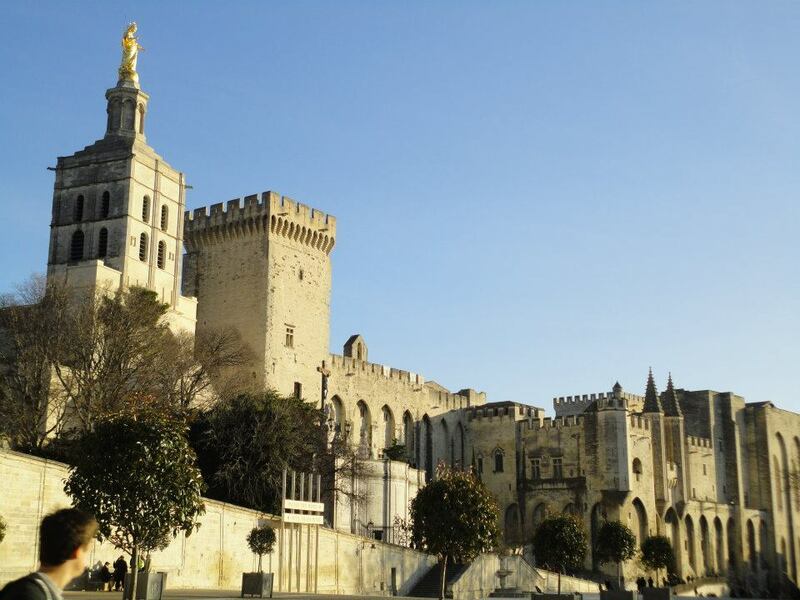 The Palais des Papes is one among many other things that makes a trip to Avignon worthwhile, but I wouldn’t encourage fellow travelers to stop exploring once they reach well-known palaces. 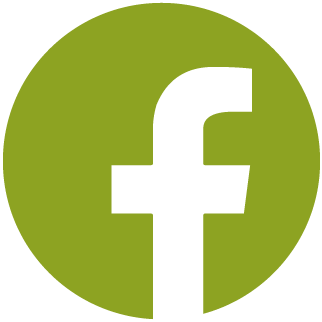 Sometimes, you discover a city’s true character by experiencing its simple wonders. Try taking a bike ride.